The Internet Advertising Bureau has published its first guidelines for native advertising, stating they need clear branding to show they are not pure editorial. The guidelines put native ads firmly in the same category as advertorials, and are designed to help consumers distinguish between editorial and paid content. According to the IAB and PwC, native and content adspend, including paid-for sponsorships, advertisement features and in-feed distribution, hit £216 million in the first half of 2014, more than one-fifth (21 per cent) of display adspend. 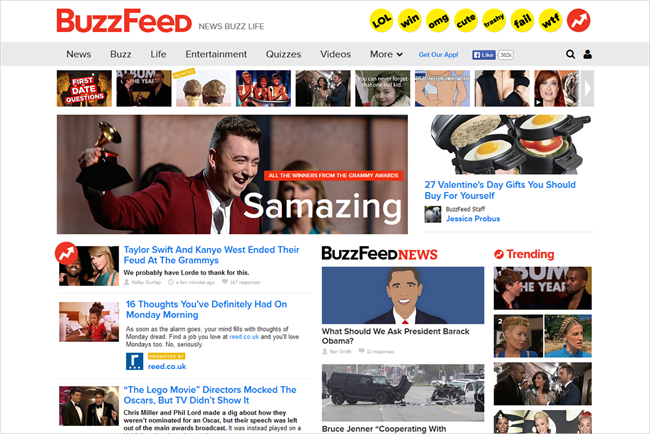 Media owners like BuzzFeed have abandoned display ads entirely in favour of native advertising or content. Provide "prominently visible visual cues" to show pieces are native ads and not editorial pieces. These could include "brand logos or design, such as fonts or shading, clearly differentiating it from surrounding editorial content". Label content to show a commercial arrangement is in place, using phrases such as, "paid promotion’ or "brought to you by". Alex Stepney, the public policy manager at the IAB, said: "Paid-for advertising units which are deliberately designed to replicate the look and feel of the editorial content that they appear against needs to be obvious to consumers. "The guidelines help companies involved in developing and publishing such native ad formats to provide the necessary levels of transparency to consumers and uphold the integrity of online advertising." The guidelines come after IAB research conducted by 2CV, showed trust decreases if the origin of content is unclear and visual clues help consumers make decisions. Interviewees considered "good" marketing to include logos, clear labelling or design differentiation. The guidelines are supported by ISBA (the British advertisers association), the Association for Online Publishers and the Content Marketing Association. Guidelines meet the UK advertising industry’s Cap code, which is enforced by the Advertising Standards Authority. Tim Cain, the AOP’s managing director, said: "The clear delivery of native advertising is the key to positive consumer interest in both the advertiser and the publisher. The guidelines are an important step in driving that clarity." The second part of the guidelines will cover online advertorial and sponsored content, including how digital can learn from good practice in print media, will be published in the second quarter of 2015. What should advertisers take from CES?